Avoid unnecessary fines or even worse - accidents - by knowing you tow ball weight before you head out on a trip. Why do you need to know your tow ball weight? To put it simply, it is unsafe. Too much weight on your tow ball can cause excessive trailer sway, diminished handling and decreased breaking ability. Not to mention it can be costly. The laws vary between states but on-the-spot fines can be issued if you exceed your RV’s and vehicles’ tow ball weights. 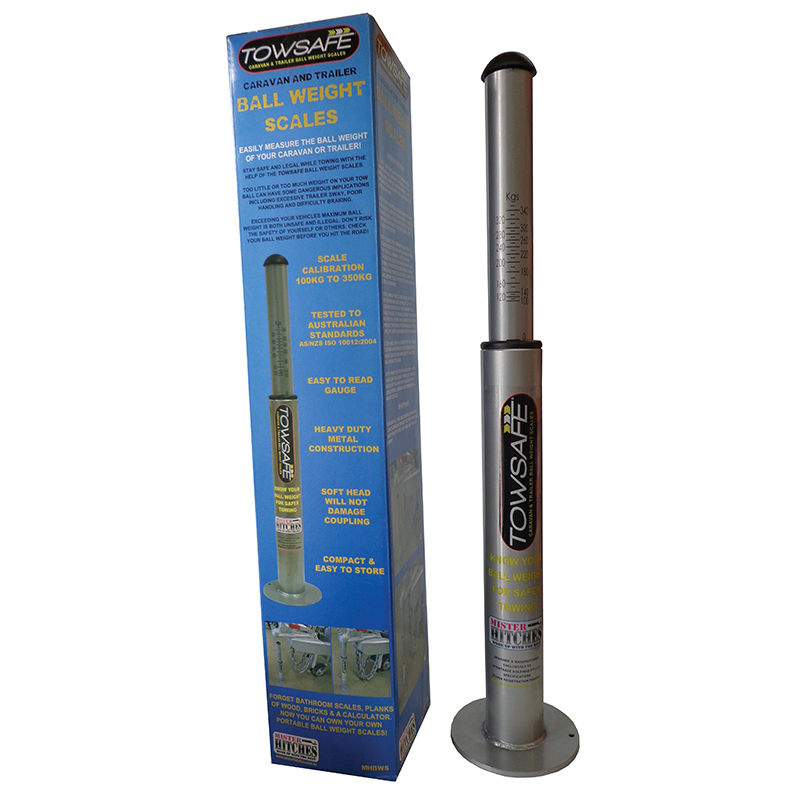 The Towsafe Scale is compact and easy to store. It is made from heavy-duty metal but is gentle on your RV’s coupling thanks to a soft rubber head. The gauge is easy to read and will handle up to 350kg. It has also been tested to Australian Standards (AS/NZS ISO10012:2004) so you know you’re getting a quality product.